I’m a big fan of breakfast. I’m also a big fan of impressing guests with minimal work. 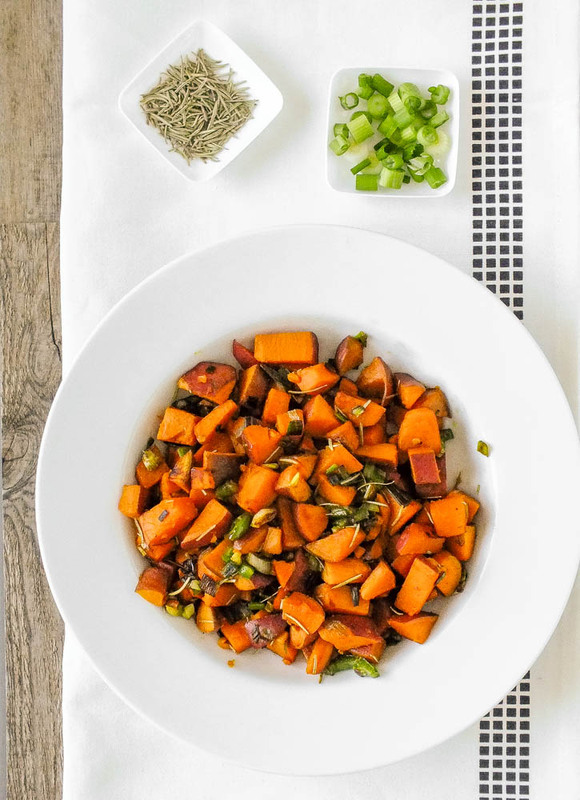 Both ideas work flawlessly here with this sweet potato hash . 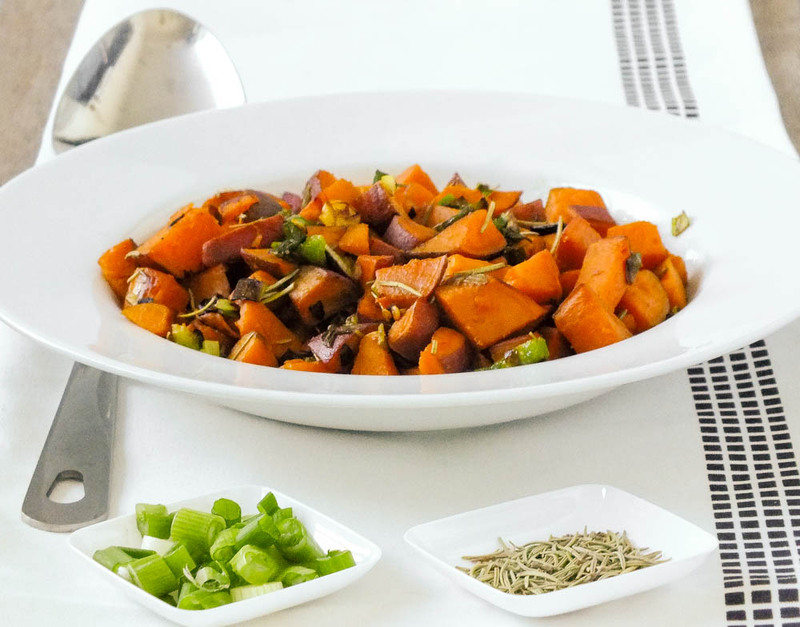 . .
A perfect alternative to those “other” breakfast potatoes that aren’t nearly as healthy! Rinse sweet potatoes. Chop into cubes. Steam until soft, but slightly undercooked (about 15 minutes). Heat coconut oil in skillet over medium/high heat. Sauté green onions and rosemary for a minute or two. Add sweet potatoes until brown and crispy on the edges. 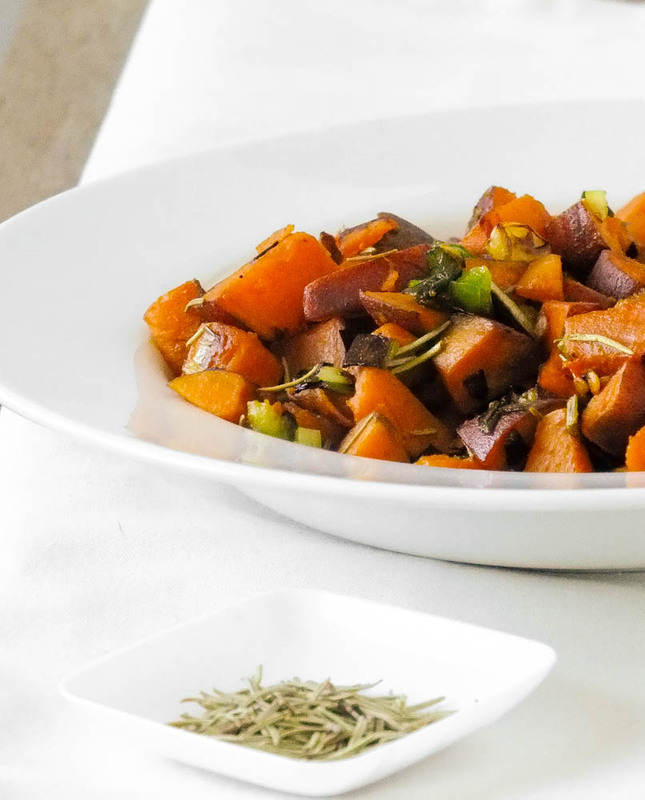 Garnish with fresh rosemary and enjoy! Refrigerate in an airtight container. Lasts about a week. 1. Steam a big batch of sweet potatoes and refrigerate in an airtight container (up to about a week). 2. When ready to serve, continue with steps 2-4.